Today we're excited to announce the launch of our newest product – Impact – an insights platform designed specifically to measure the dollar impact of brand campaigns and sponsorships. With Impact, marketers gain unparalleled insight into what’s working, with whom, and why – so they can optimize sponsorships like never before. Sponsorships and brand campaigns are still measured in Likes, shares and attitudes, while executives are demanding to know the financial impact of marketing programs. Quantifying ROI has been notoriously elusive – until now. Impact marks the transformation of marketing measurement: now you can quantify the effect of your campaigns, in hard dollars. With one-click access to campaign performance, audience response, demographic targeting and messaging efficacy, marketers can now track and adjust their bets in real time. CMOs, CFOs, and CEOs need to know the financial impact of multimillion dollar sponsorships and brand campaigns. Impact is the precise solution to this pain point. Global brands use Impact throughout the campaign lifecycle. 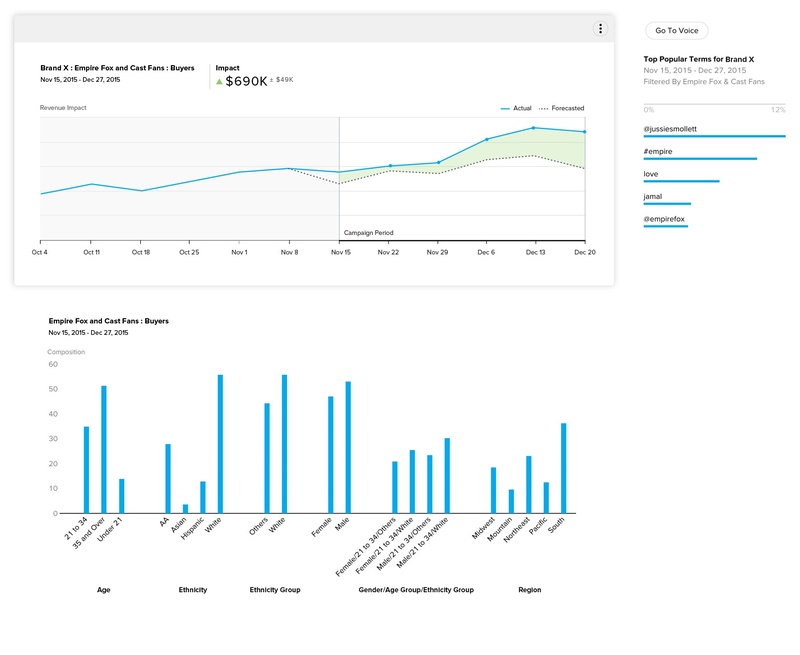 Want specific dollar-based insights on how your brand can optimize its marketing campaigns? Want to know what’s driving your revenue, and how to drive more? Quantifind can detail your campaign performance and steal market share.